As we were very lucky that day I was able to bring home this beautiful panorama from Calton Hill.It shows the northern part of the city and further across the Firth of Forth (gaelic: Abhainn Dhubh). This is the very first panorama I ever made, by the way. What do you think? I am also linking this to The Daily Post Weekly Photo Challenge: Life imitates Art because the colouring and the whole composition reminds me of Jacob van Ruisdael. Do you know him? 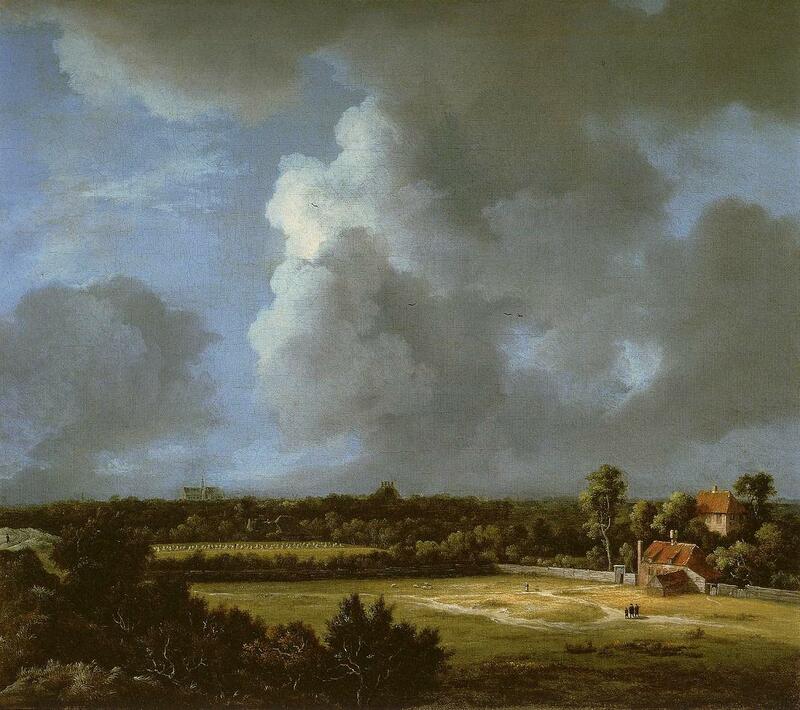 He is one of the later Dutch Masters (17th century) and famous for his dramatic landscapes with huge clouds, very low horizons and deep compositions. Jap, da schließ ich mich der Mary an, ein tolles Panorama!!! Super! DAs Panorama ist wunderschön! Absolut beeindruckend!